Schaefer, a publishing veteran best known for producing the huge best seller Under the Tuscan Sun during his long tenure at Chronicle Books, spoke with me the other day after making the rounds at two writers conferences out here on the West Coast. Doubleday made a significant ($250K to $500K) preemptive offer for Belle Cora, a first novel by Phillip Margulies based loosely on the life of a 19th century prostitute. A: Because there are so many mid-list authors around whose last few outings weren’t exactly best sellers. You can see their real numbers easily on BookScan and so can the book buyers for Barnes & Noble and Amazon who keep decreasing their orders. A new author with a clean slate has no baggage to overcome. Q: Have you acquired many first novels lately? A: We’ve been very selective. We’ve declined a lot of well crafted but empty stuff. You know, I think too many writers have been influenced by American Idol. They want to leap out of the chute, and win the literary lottery without working that hard. Algonquin is a small company that likes to discover and develop a few smart books. Once we sign up a project, we help the writer make it better, then spend care and money on marketing it for the long haul, not just for that brief window just around the pub date. Q: What are you looking for in the way of good fiction? A: Algonquin wants something that excites us — that captures our imagination and takes us somewhere unexpected where we’ve never been before. Most importantly, we want to find an author who has a new way of seeing things and has something to say. Q: Are you paying big advances? A: We’ll go after an author aggressively if we love the book. There are some reckless publishers gambling the farm these days with beyond-belief big advances. They’re betting on an overnight sensation. Q: Any hot tips for authors? A: Don’t be in a rush to publish. Make sure it’s as good as you can make it. Get some reliable feedback before you show it to an agent or publisher. Consult with a professional, a literary coach, take an advanced class in writing, or hire an independent editor. Good advice. As an acquisition and development editor myself, I know how hard it is to find a good proposal or manuscript, and how difficult it is, how much time, discipline, and perseverance it takes to write one. The important thing to remember is that publishers are in fact avidly seeking out and paying for good books by new writers. What do you think of all this, writers? Questions? Comments? I HAVE A BOOK ALREADY FINISHED(IN MY HEAD) It would be easy for me to write it down which I am contemplating doing in the next couple of weeks, but I have a hectic work schedule. Very true! It’s like a record label saying “we want the next top band and we need to be certain they’ll sell records! … Oh wait, you’ve already sold 10,000 records off your own back? Sorry, we want someone we know will sell that’s so far sold nothing”… What?! At face value this post raises some industry points that appear amazing and exciting, but when you start to think about it, it’s really got just as many problems as the “old” publishing game. I have personally witnessed the dilemmas with the whole “new author” label frequently stuck on young and developing writers. There appears to be a conundrum within the publishing industry, they want to find and exploit writers who are currently not under contract of any other company. However, they often refuse to even look at these “unpublished” writers. What is a writer to do? I found this great writer online, who after learning that their work – currently unpublished – is not worthy of publishing simply because it has not been published in the past, has resorted to placing a sample online where the whole world can view it for free. The website, http://www.bbarret.com is an example of the nonprofitable, self-publishing efforts many writers have resorted to in order to get their voice and work out there. If not being published is the sole reason for an author not being published, then the entire publishing industry will soon be extinct, saturated with trilogies, sequels upon sequels and filled with only a few unoriginal works from “already-published” authors. And with the popularity of Harry Potter and Twilight…I’m afraid the end of the paper-books publishing industry is already upon us. New authors? And yet the YA books in stores seem to be variations of Twilight/ paranormal romances. Thanks Alan for being the realistic but optimistic voice out there. It does make me wonder what happens after the first book. If it isn’t a great success, then do you have to worry about being an “author with baggage”? This sounds like a lot of blather to me. “Blockbusters” may generate a lot of excitement for a time, but I suspect most publishing houses really live off the mid-range writers that produce salable books, not the “Great American Novel”. Most of those are gathering mold in a drawer somewhere. The average pot-boiler, even in paper back, makes steady income for the publisher and the writer. If it appeals to a particular audience, romance, adventure, mystery, whatever, it can sell well and be a money-maker. I suspect a lot of publishers are concentrating more on the changing business plan of their trade. e-books, print on demand, and internet access to both mean the publishing business will have to adapt or die. I have been trying to publish my own novel and am now thinking it would be far easier to simply self-publish as an ebook and sell through e-bay on on various web sites devoted to those than try to attract the notice of overworked agents and editors. “Water for ElephantsI ” was one of the very few books I read since 2000 that I didn’t want to out down in the middle. In fact loved it and referred it to others. I have been frustrated with books that just are badly edited, are tooooooo loooooooonnnnnggggggggg and don’t need to be, have one-dimensional cardboard characters or undigested info dumps in the middle after which I lose interest. My reaction to these books has made me very hard on myself and I rewrote my Gothic Faery tale “The Golden Stairs” 35 times smoothing and polishing, injecting emotion — each foray has a different quality and focuses on different aspects of the story — because I want it smooth and flowing and seamless. When I used to read books as child I would get so lost in the author’s world that I often missed being called to supper — I tuned out everything. That is the standard I strive to achieve in my writing. It takes time and Grim Reaper is always looking over my shoulder telling me to get on with it. Im glad i came across your site. I have started a story that people seem to be interested in. It is just a few chapters so far, but i am enjoying writing it. I dont have any formal teaching or training in writing, but i am copycatting how stories ive enjoyed reading are formatted. I rather enjoyed reading this article. I am on facebook with many, many, readers including a couple of celebrities waiting for me to finish the last couple of chapters of my book. My only fear, being a first timer, is not being able to get published. I know many other authors and they chose to self publish their material but I dont think financially I could keep up with the demand. I write horror and thrillers and I am so excited about my new adventures as a new author. This article lets me know that I just may be able to take a deep breath, ah huh, and let the magic happen. I wonder if this is really going to be the case this year when retailers are becoming adverse to debut writers. Barnes & Noble and the live are relying upon the bestseller stable. Thank you for this. I’ve re-read it numerous times and want you to know how much I appreciate a posting that is frank and positive. There is no ‘secret’ to this publishing world; we need to write, revise, rewrite, let it simmer, revise again, then see how the world responds. And be grateful that we love the power of words. Evidently, authors can’t win. For the longest time, they have been told that nowadays, publishers don’t want to take a chance on undiscovered talent; due to financial restructuring in the publishing world. So — they are encouraged to hone their talents on a micro basis, sell at least 10,000 books to secure a larger deal and develop a solid ‘author platform’. The minute they do that, they are told that this is all ‘baggabe’ and that newcomers are preferred. All this shows is the fickle nature of the publishing beast today. A true writer will write and write and write and write until their fingers throb and there is no story left for them to tell. A true writer is creative in spite of the commerce…. and the readership will pick up on that fact. It might take a couple o, or even a few books time; but the compelled writer can wait. “Don’t be in a rush to publish” – thanks! I’ve been working on my fourth (unpublished) manuscript and I’m eight months in and still researching and planning. I’ve got a couple of paragraphs to set the tone and remind me what I’m aiming for but beyond that this project is proving to be the most challenging thing I have ever undertaken. My panic now is, knowing this is going to take me at least a couple of years to get right, will it have been worth the effort? I know it’s different to other work out there, already published, both in structure and style and it’s got brains but is that enough? What’s missing in this article/interview is the concrete details. Just how did Sara Gruen, Phillip Margulies, Rebecca James, etc. find or get discovered by their final publisher? Did they all just submit a manuscript “over the transom” that sat on some jr editor’s desk for 6 months, was finally glanced at, tossed in a sr. editor’s in-box where it sat for another 4 month’s before, to distract herself during a messy divorce, the sr. editor finally read the manuscript one long weekend. Did author and publisher meet at an expensive writer’s conference that the author got to attend because they previously won a grant from a university writing workshop because their father (a nobel prize winner physicist) was having an affair with the professor running the workshop? The image of “editors prowling” makes me think more of a bar in Hemmingwayland than a covey of publisher people stalking through a fields of writers wearing signs stating “Hot Debut Writer Here”. These are the kind of things we need to know. Very interesting. I recall reading in query how-to’s that agents were concerned with how many books a debut author could be expected to churn out after the first book was published. Since I’ve always been more concerned with quality over quantity I honestly wondered how many GOOD books I actually had in me. Here’s a question for you: when the publisher shells out a large advance, how much of that do they expect the author to spend on marketing the novel? As usual – thanks. Reminding me to let things cook for awhile. Writing the novel was the “easy” part (ha!). Great essay, both daunting and encouraging. Publishing is rattled now, I think. MANY changes in the wind. Another good article, Alan, and an interesting spectrum of responses, too. The differences between the different perspectives (and therefore perceptions) of the quality of a writer’s work fascinate me. 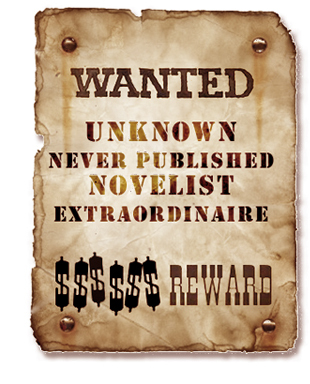 It’s no surprise that publishers are looking for the next hot novelist. How does it make me feel? Both intimidated by the task of writing the Great American Novel and motivated to give it a shot. No, please don’t change your name or try to hide your track record. I’m very sorry if that’s the impression this post made upon you. You don’t need to have a bestseller among your published books to date, you just have to come up with a better book. 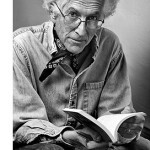 Garth Stein’s current hit “The Art of Racing in the Rain” was his fifth book, and the Algonquin bestseller “Water for Elephants” was Sara Gruen’s third. Discerning editors are still looking for something original and compelling to fall in love with and launch with enthusiasm. Also, hiding yourself or any truth about you is not a good way to build the kind of personal, trusting relationship you need with your agent or publisher. an encouraging bit of insight, thanks. thanks for being discerning about Dylan, too. in a fit of awe someone gets an overinflated advance. Sure hope they’re still desperately seeking when my manuscript is ready, and then I hope my voice/style is what they want. And that new novelist could be me! It could be ME!!!! This is like one of those state lottery commercials preying on poor desperate people. Yeah, somebody’s gotta win–and it could be YOU!!!!! This is just a fantasy perpetrated by the vampires in this industry. To get published, most people have to invest endless hours and be very, very lucky. I wonder for those of us authors that have not had great success with earlier books, should we just give up our old names and bios and start fresh with new identities? Would it be easier to publish a book if I took on a pen name and left out the news that I’d published before on my queries? Apparently the track record of being accepted and put into print isn’t worth much anymore unless your books hit the bestseller lists. Well now! I do recall that Bob Dylan was published in a folk song book in his earliest years by some far-sighted soul, but I didn’t realize it was you. Somebody once said that history is best experienced while it’s hot. I guess the trick is to feel the heat in the first place. A good editor can tell right away if a writer is trying to exploit a trend or jump on a bandwagon, as in the cynical reality TV show syndrome. What we look for, as you say, is the authentic voice, the real thing from deep inside — honest, clear, unique, just you, the author, without artifice or conceit. It’s not easy to find and certainly difficult to do, but I appreciate your understanding and expressing it so well. How very exciting and encouraging. Like one of the other commenters, my pace and output has slowed significantly but I think the quality of my writing has increased exponentially. So, this gives me hope that someday it might be me whose debut is going to auction. I agree with Jay Schaefer’s comment: “Most importantly, we want to find an author who has a new way of seeing things and has something to say.” This comes back, in my opinion, to the cryptic notion of “voice,” or “view.” I think what Schaefer is more specifically saying is that what publisher’s want to buy is a mind, a unique intelligence, that by definition can produce only inimitable work. (This is the antithesis to the “American Idol” syndrome Schaefer mentioned, which by nature must be copyist and philistine.) The notion of “mind” is why, in publishing’s sister industry, music, Bob Dylan, for instance, was referred to in his early days as “Hammond’s folly:” that is, Dylan was perceived by others as his producer’s — John Hammond — foolish gamble. Why? Because Hammond heard Dylan’s “voice;” he saw Dylan’s unique view of things: his mind. The others didn’t. Connvinced by his own inner voice, Hammond bought and nurtured that mind. Hence: all the musical/cultural history that has enriched our society since. Staying with the music analogy to conclude, John Lennon used to say that an artist had to bare his or her soul to be worthy of the title. The soul, the mind: the words are interchangable. It is these that publishers are looking for: and their self-expression in prose form. PS: Please don’t misunderstand me: I’m not vain enough to suggest that I personally have such a mind, or soul. I’m merely putting these ideas forward for consideration, that’s all. Very encouraging news to end the year, Alan. Ez, there has been a lot of buzz on several agent blogs about a debut that recently went to auction. Many agents offered representation and were gutted to lose out. Pub Rants was one of the blogs to mention it and I am looking forward to seeing what that novel is. The excitement for new novels is there; we now need to tap into that. It’s kind of exciting. I can’t wait to see what the next big book will be. My pace has slowed very significantly recently, even though I’m still at the keyboard almost every day after work. But I think the writing is getting better as a result, and it’s certainly much more fun to take your time with something than write to an artificially-imposed deadline. I find this very encouraging as a writer who’s doing a hard edit of my first full-length novel. I’m focused on edits so the ‘Make sure it’s as good as you can make it’ comment really couldn’t have come at a better time for me personally. Thank you!